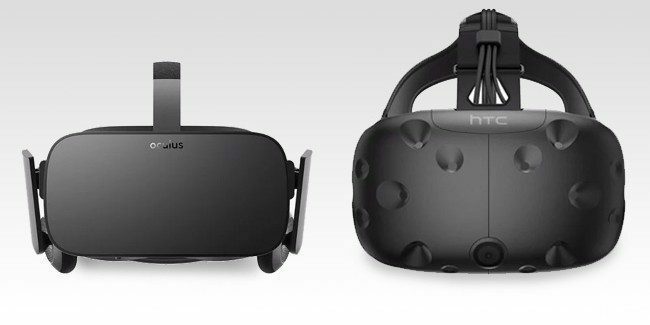 According to the January figures, which is based on data collected from participating Steam users in the optional survey to determine the kind of hardware and software used across the Valve’s platform, shows the Oculus Rift widening the gap, now at 47.03% (up from 46.45%) over the HTC Vive, which came in with 40.62% (down from 40.82%). The Vive ‘Pro’, meanwhile, came at a slight loss with 2.6% (down from 2.81%). Last month, Oculus permanently dropped the price of the Rift to $349, so its likely that this may be a contributing factor as to more Rift headsets getting in the hands of consumers. 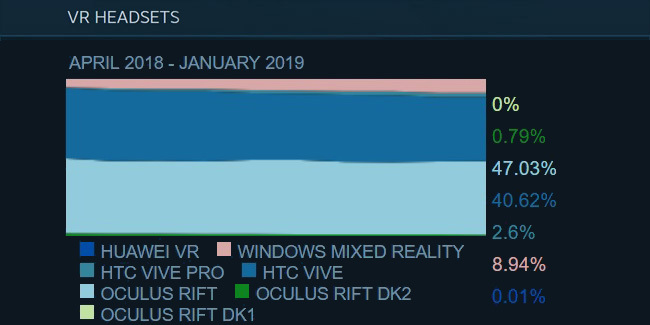 Additionally, other VR headsets like Microsoft Windows VR now at 8.94% (up from 8.89%) managed to slightly increase in January, while Huawei VR and even Oculus Rift ‘DK2’ headset manage to hold a tiny bit of market share, at 0.01% and 0.79%, respectively. Again, it is worth noting that the hardware survey requires users to opt-in and must also have a VR headset connected to their PC for it to count towards the data collected. So, this survey only offers a glimpse of the overall landscape between the two leading high-end virtual reality headsets on the market.